Porto Naousa in Paros is a brand new intimate complex of luxury rooms located in the heart of the lovely traditional fishing village, Naousa.The priviledged location of Porto Naousa allows visitors to have access in just a few minutes to famous cafes, fish taverns, traditional ouzeries and a cosmopolitan nightlife that place it among the most popular destinations of the Cyclades. Porto Naousa is walking distance from Agii Anargiri, Agios Dimitrios and Piperi beach and 3 km from the famous Santa Maria beach. 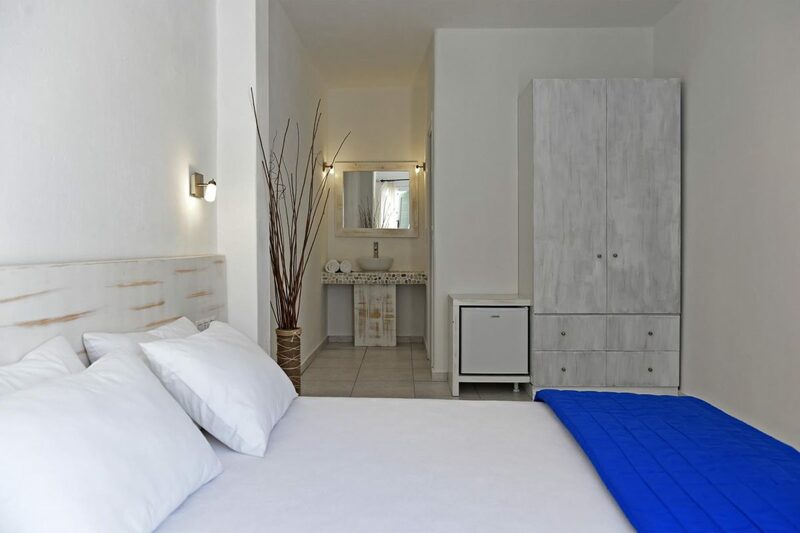 Our complex is comprised of 14 comfortable rooms with a unique Cycladic architectural character that can accommodate adults only, couples and groups of friends. Our first priority is to deliver exemplary service while providing superior accommodation and a memorable hospitality experience to our guests. 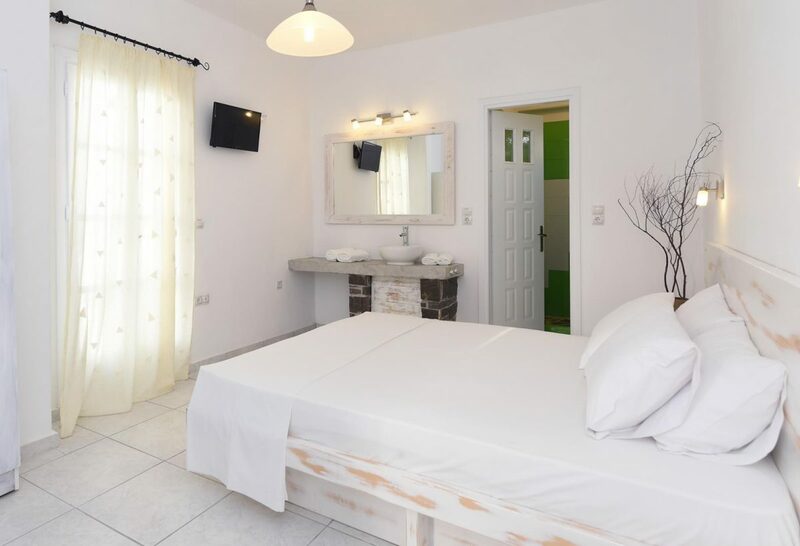 Superb services are offered at Porto Naousa such as daily room cleaning service, dry cleaning, car/motorbike and bicycle rentals (upon request), free 24 hr wifi, reception providing info about excursions, sightseeing and sports activites and transfer to and from Paroikia Port and Airport.